As part of October’s Coming Out Month celebration, the annual “You Are Not Alone” list will be published in the Daily Orange and on the SU News website on Thursday, Oct. 9. 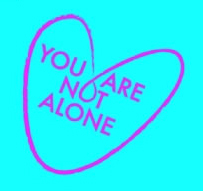 The deadline to add your name to the You Are Not Alone list is Friday, Oct. 3 by 5:00 p.m.
To add your name to the ‘You Are Not Alone’ list, email lgbt@syr.edu from your Syracuse University/SUNY-ESF email account with your name as you would like it to appear in the publication. Please note that due to space constraints, campus affiliations and degree/professional credentials cannot be included. The LGBT Resource Center, within the Division of Student Affairs, hosts Coming Out Month throughout October. To view the full list of events scheduled, please visit the LGBT Resource Center’s Facebook page.